What is this light/button on the dash? 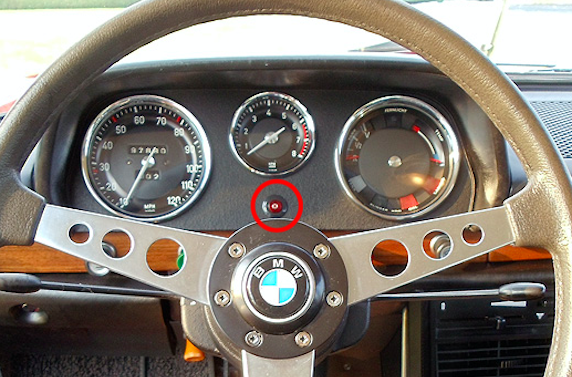 Okay, silly question but what is this light/button? It seems to be on some NK 2000s and not on others. Thanks in advance! Aha! Thanks for solving the mystery, Chris. Brian- care to share more pics of your car? Please🙏. Ah Jim, I'm afraid you might be disappointed! The picture I used for reference was pulled from the web. My car is solid and has great promise, but lacks the Petri wheel and wood in top condition. Never disappointed in a nice car made so close to mine! Well, how about adding a couple more to your registry entry.